Bobotie, pronounced ba-boor-tea, is best described as a light-textured meat loaf, flavoured with typical Cape Malay spices and topped with a savoury custard. It is the South African version of an English Sheperd’s Pie or a Greek Moussaka. Bobotie is one of South Africa’s signature dishes, and probably the most popular dish in the Cape. It is the first dish that comes to mind, when you want to treat overseas visitors with typical South African cuisine. And South Africans living abroad, will confess that bobotie “tastes like home”. Every South African cook has their favourite bobotie recipe and there are more bobotie recipes than spots on a guinea-fowl. That’s why this post features my own, as well as my mom’s recipe. Slaves who came to the Cape from Indonesia, Java and the surrounding islands brought with them the exotic spices that make this dish so special. Early recipes included ginger, marjoram and lemon rind. Bobotie was selected by 2008 US Masters golf champion, Trevor Immelman from South Africa, for the menu at Augusta’s annual “Champions Dinner” in April 2009. MasterChef Australia winner, Adam Liaw, fell in love with bobotie when he sampled it on a visit to South Africa. It’s now become a recipe that he regularly cooks back home in Adelaide. Typical Malay spices add flavour to bobotie. In my childhood home, bobotie was on the menu on Monday nights. My mom served it the traditional way, with yellow rice and a side salad of grated apple and tomato. Fry the mince in the oil and butter until loose and crumbly, using a fork. Add the chopped onion and fry until limp and glaze. Add the garlic, ginger, grated carrot and spices. Cook briefly to develop all flavours. Add salt, pepper, vinegar and apricot jam. Lightly squeeze the bread and mash with a fork. Add to the meat mixture. Spread the mixture into a flat ovenproof dish. Tuck the bay-leaves into the mixture. Beat together all the ingredients for the topping. Pour the topping over the bobotie and bake uncovered at 190 C for 35 minutes until the topping is firm and golden-brown. 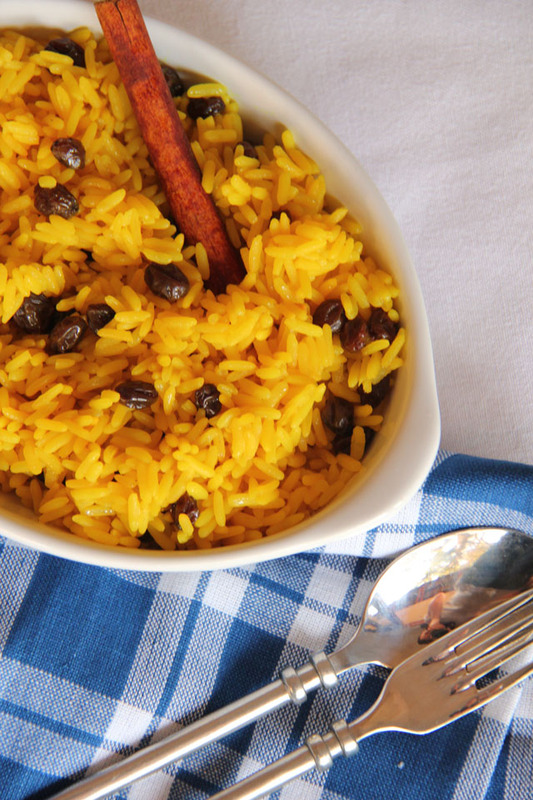 Serve with yellow rice, chutney and mom’s apple and banana salad. 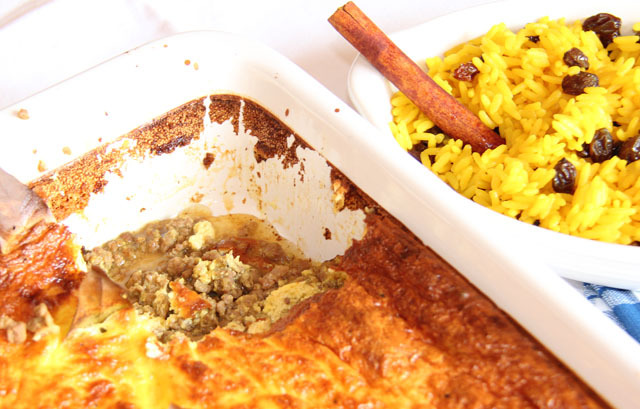 Bobotie is traditionally served with yellow rice. Boil the rice in the water with salt and turmeric until done. Place in colander and add the cinnamon and raisins. Steam until the rice is fluffy and the raisins puffy. Fork the honey and butter through and serve. Mix together, season to taste and serve with bobotie. For many years I have copied my mom’s bobotie recipe, but recently I discovered Justin Bonello’s recipe in which he doesn’t use any curry powder or masala. Without the curry powder, this dish is suitable for families with young ones, but it still delivers on flavour for the adults! I don’t use bread like in the traditional version, but add a bit of cake flour and water to guarantee a moist mince mixture. This is my version, served with Basmati rice, banana-and-coconut sambal and chutney, known to locals as blatjang. Heat the olive oil in a pan, add the onion and allow to sweat and sweeten. Remove from the pan and set aside. Reheat the pan and fry the minced meat until brown. Remove from heat. Add the onions and all the other ingredients to the meat, except the milk and eggs. Mix well and then spoon into an ovenproof dish. Spread the mixture evenly with the back of a wooden spoon. Whisk eggs, yoghurt and milk together. Add salt and pepper and pour over mixture. Bake until the egg custard sets. Serve with basmati rice and banana and coconut sambal. 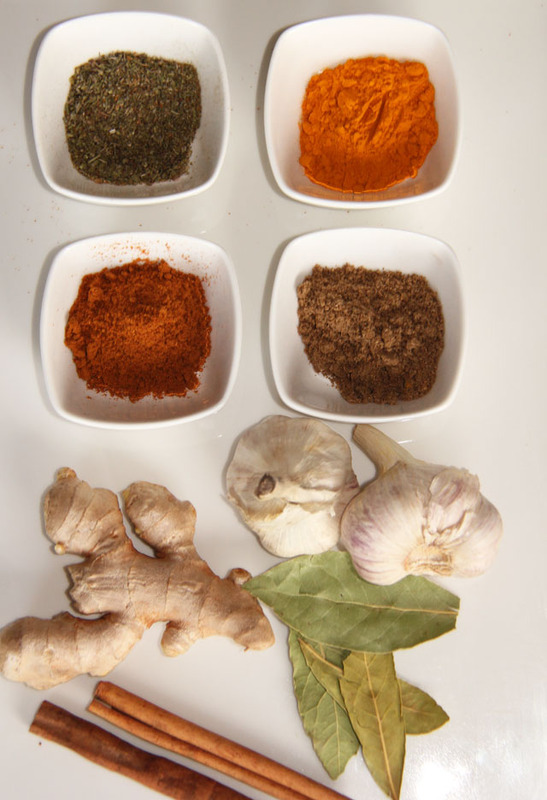 If you want a bit more kick for an adult version, add a pinch (or two) cayenne pepper. You can also add a handful of flaked almonds and seedless sultanas. Mix all the ingredients together and serve with bobotie. 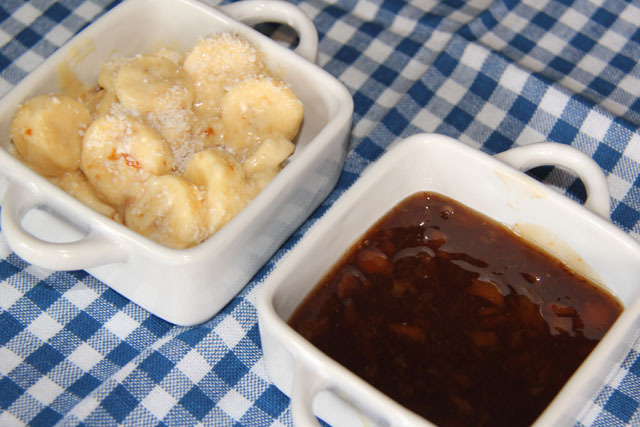 Serve bobotie with banana-and-coconut sambal and blatjang (chutney). Why don’t you try both the recipes, and let me know which one you like best. Hello Karen, ja die blog ding raak baie verslawend, maar ai dis to so lekker. Baie bly ek het jou blog gevind!! Sal bietjie gaan inloer na al ma se resepte! !